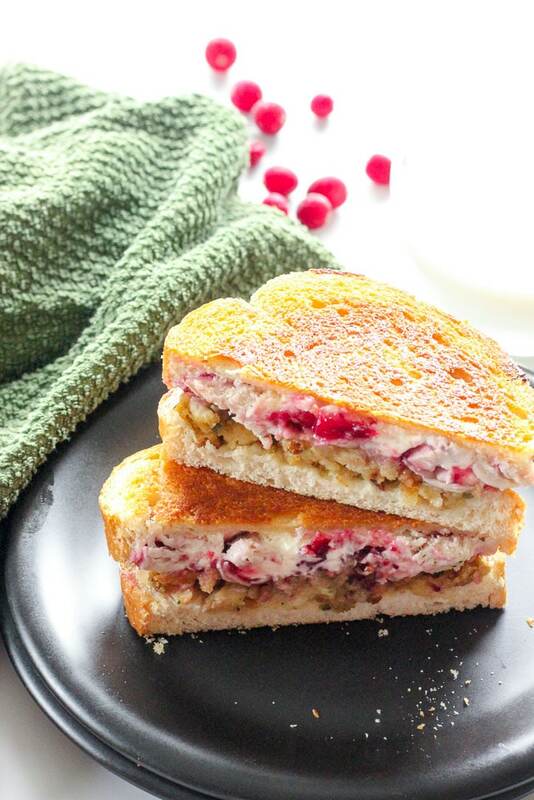 This Grilled Turkey Cranberry Cream Cheese Sandwich is the perfect light meal after a decadent Thanksgiving or Christmas dinner. Creamy and tart on the inside, toasty on the outside. It’s worth cooking chicken for all on its own! 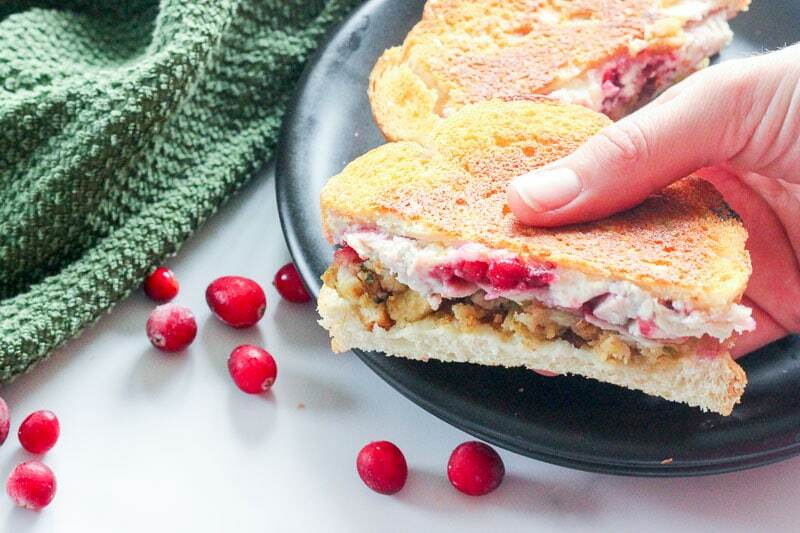 This sandwich is an awesome, delicious way to use up leftovers after Thanksgiving or Christmas (along with our Leftover Turkey Shepherd’s Pie (which is a perfect freezer meal, by the way!). I don’t know about you, but I don’t usually feel like sitting down to another huge plate of turkey dinner right after the big day. Go-to recipes like this are the perfect solution! All the lovely flavours of Thanksgiving or Christmas dinner, without the discomfort of overeating. Because, personally, I can’t have Thanksgiving or Christmas dinner without overeating. That’s just how it is, and I accept that. I’ve also made this sandwich many, many times outside the holidays. I just think it’s a super delicious lunch munch. I often don’t include the stuffing, and if you don’t have any don’t worry about it. 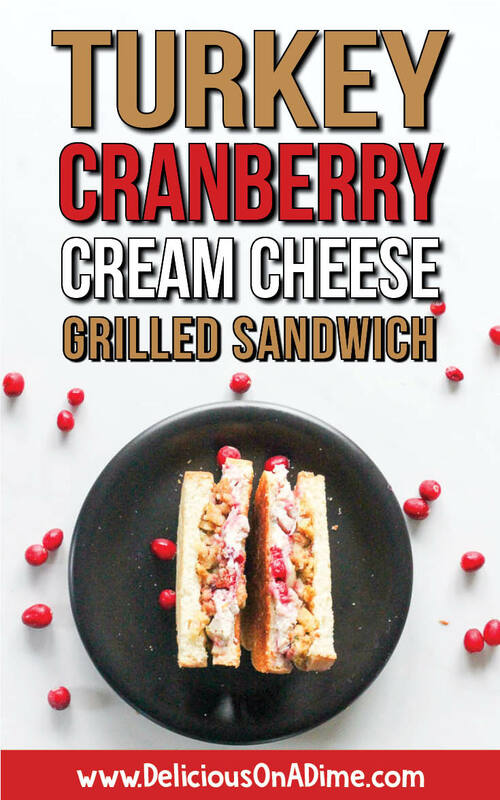 Sliced chicken breast or leftover turkey + cranberry sauce (which keeps in the fridge FOR-EV-ER), + cream cheese (for goodness’ sake, don’t skip the cream cheese – you only need a little bit but it is SO GOOD with the cranberry sauce and it really steps up this sandwich). 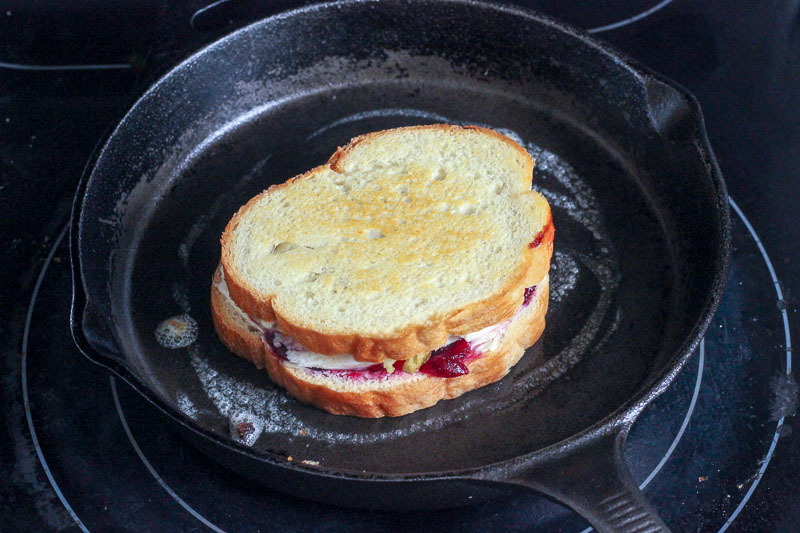 If you have a panini press it’s even easier to make this, but if not it’s still pretty simple to grill it in a frying pan. On top of the cream cheese, spread some cranberry sauce. On the stuffing, put some turkey or chicken. Heat a frying pan over medium-low heat. 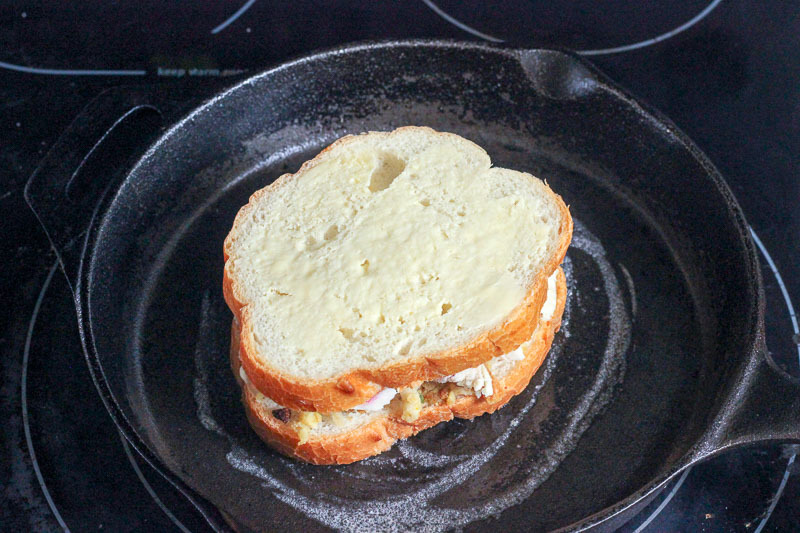 I love cast iron for cooking grilled sandwiches, and it doesn’t have to be expensive. Amazon has one very similar to mine. 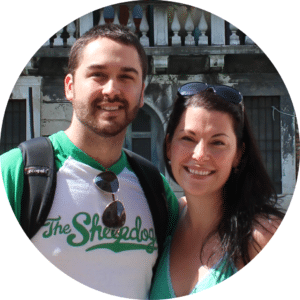 If you’re shopping from the US it’s an amazing price and from Canada it’s still not too bad. If you’re in Canada, have a look in unexpected places. 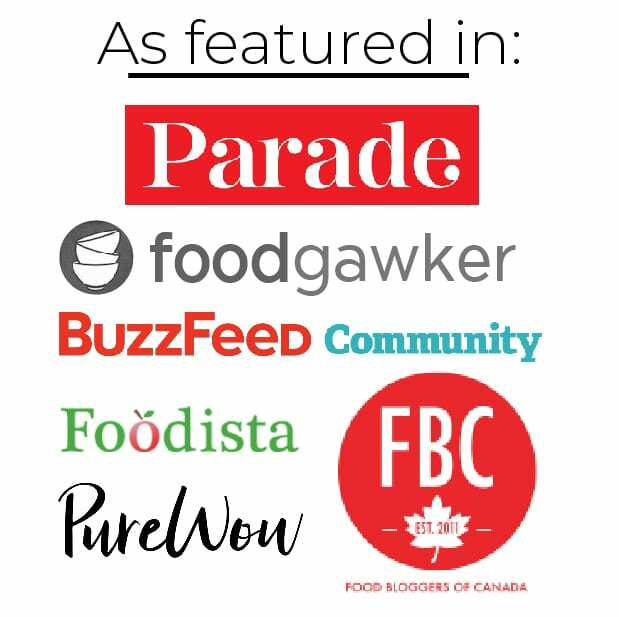 I got mine at the Superstore and I LOVE it. Anyway, once it’s warm, melt a bit of butter and set your sandwich on top of it. Then butter the top half of the sandwich. Cook it slowly, so that the middle is getting warm while the outside is slowly browning. 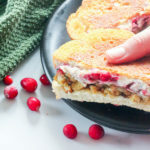 This Grilled Turkey Cranberry Cream Cheese Sandwich is the perfect light meal after a decadent Thanksgiving or Christmas dinner. Creamy and tart on the inside, toasty on the outside. 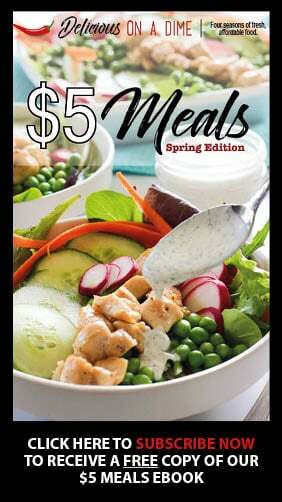 It's worth cooking chicken for all on its own! turkey or chicken leftovers work great for this! 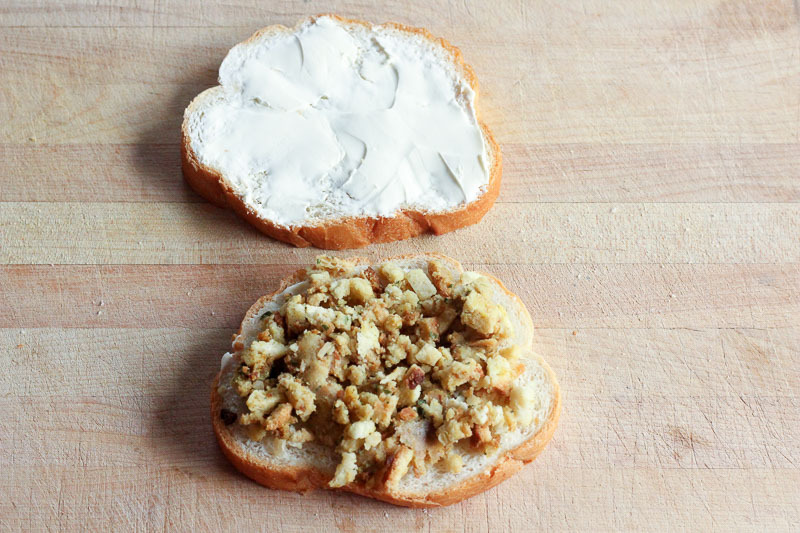 Spread a light coat of mayo on each slice of bread. One one side, spread the softened cream cheese. On the other side pile on some stuffing (if you're using it) and press it down. 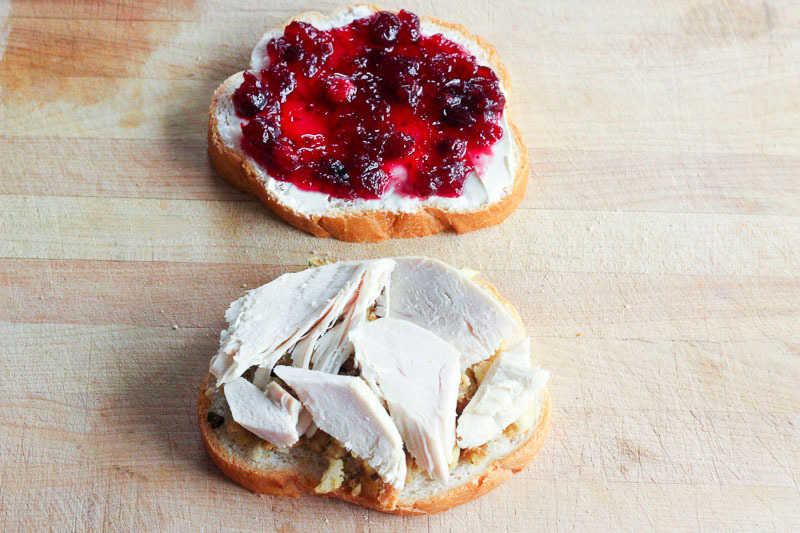 Spread cranberry sauce on top of the cream cheese. I like a lot, but you can use less if you want. 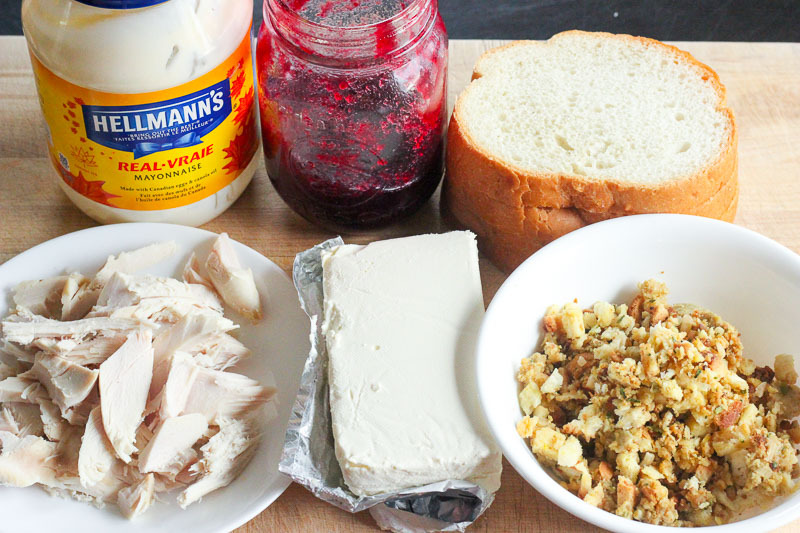 Press sliced turkey or chicken onto stuffing. Assemble sandwich. Heat a frying pan over medium-low heat and melt 1/2 a teaspoon of butter in it. Place sandwich on the melted butter and butter the top half. Cook slowly until the bottom is golden brown, then flip and cook the other side until it's brown and the middle is warmed and deliciously melty. *Check out our Easy Cranberry Sauce recipe here. **If you're looking for a delicious new stuffing recipe, try our Light and Fluffy Stuffing! Turkey and CREAM CHEESE!? What an interesting combo – never would have thought to put the two together!